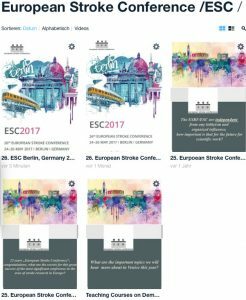 Since 2015 the ESC Video Team produced videos from important symposia, plenary sessions and teaching courses during the European Stroke Conferences. Please find the videos from the 26. 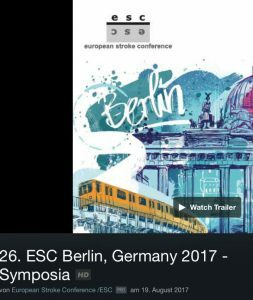 European Stroke Conference in Berlin, Germany on our vimeo account! 26. ESC deutschsprachige Fortbildung am 26.5.2017 – Programmübersicht!